As you can tell, I’m not big on football. But, I love a casual night with friends, cold beers, good food and funny commercials. 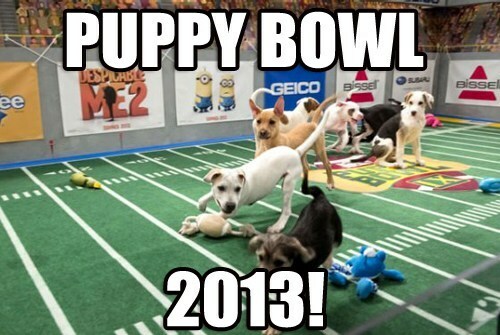 And, forcing them to watch the Puppy Bowl for a couple seconds. Go terriers! 16 ounces cream cheese – room temperature! Preheat the oven to 400 degrees. In a sauce pan, melt the butter. Add chopped onion, pepper, celery and garlic. Season with salt and pepper and allow to cook down until slightly brown. Meanwhile mix in a large bowl, crab meat, cream cheese, mayo, parm, scallions, and the rest of sauces and seasonings. Once mixed well, add in the cooked vegetable mix. Add to a oven-proof dish and bake for about 30 minutes or until bubbly. 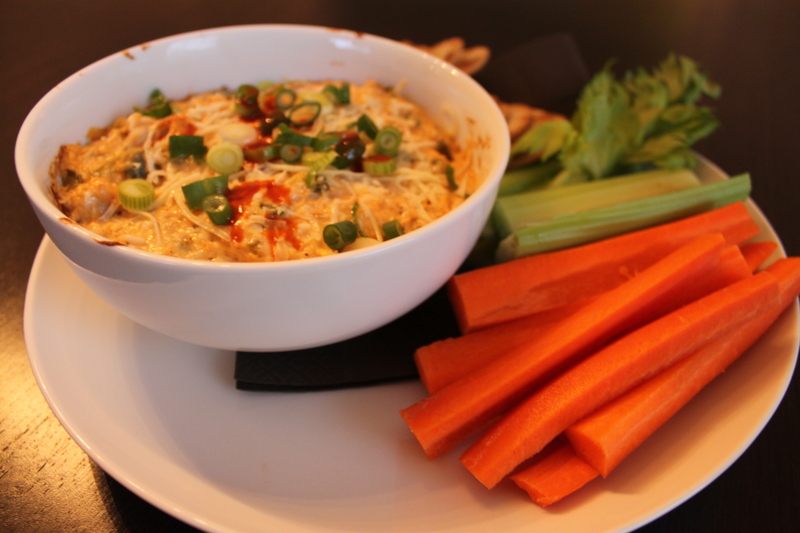 Garnish with extra scallions and serve with crackers, carrots and celery! Next February is for? Friends, Cheese and Wine.